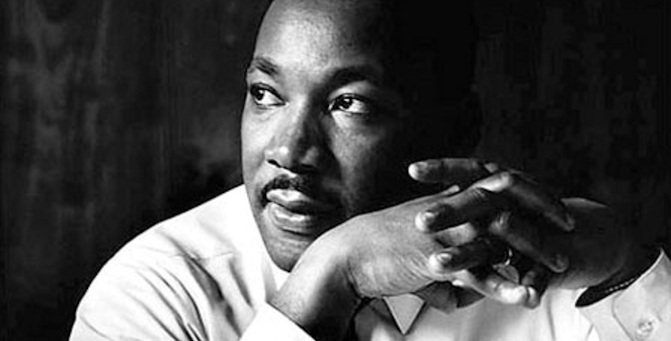 It was April 16, 1963 — 10 years before legalized abortion in the United States — when Dr. Martin Luther King, Jr. penned the letter that could have been written on behalf of the unborn, as well as the African-American. The powerful “Letter from Birmingham Jail” still has a message for us. What is astounding now, in 2015 — as we honor King, and we, likewise, grieve approximately 57 million babies who have died in the past 42 years — is that King, who was vocal then, would doubtlessly be just as vocal now. Ironically, he would not have to change much of his letter, for what we did to African-Americans, we now do to the unborn. And the most tragic irony of all is that African-American babies are aborted at a rate five times greater than white babies. We should never forget that everything Adolf Hitler did in Germany was “legal” and everything the Hungarian freedom fighters did in Hungary was “illegal.” It was “illegal” to aid and comfort a Jew in Hitler’s Germany. A holocaust is a systematic extermination, a mass destruction. It is not a stretch to call abortion a holocaust. A life is not any less a life if it dies young. And as King would note, the greatest stumbling block to justice is not the extremist against justice, but the one who is “moderate” in his stand. There was a time when the church was very powerful…. the church was not merely a thermometer that recorded the ideas and principles of popular opinion; it was a thermostat that transformed the mores of society.… [T]hey brought an end to such ancient evils as infanticide and gladiatorial contests. Things are different now. So often the contemporary church is a weak, ineffectual voice with an uncertain sound… an archdefender of the status quo….If today’s church does not recapture the sacrificial spirit of the early church, it will … be dismissed as an irrelevant social club with no meaning for the twentieth century. 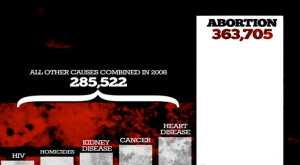 Abortion is the number one killer of Black Americans. What would King say about the Religious Coalition for Reproductive Choice? The RCRC is filled with United Methodists, ELCA Lutherans, Episcopalians, Presbyterian USA, and other denominations that once supported truth and now support a woman’s right to kill her baby — claiming to do so in the name of equal rights. Dr. King’s niece, Alveda King, is a powerful voice for the pro-life movement and reminds us often that “Uncle Martin” would be horrified by and opposed to abortion. His written words from 1963 are a resounding prophecy of what was to come, a time when five times the African-American babies die from abortion than the white babies do. As we celebrate Martin Luther King, Jr.’s life, we must remember his words, which tell us that passivity is destructive and that of all people, the church should be the culture-changing voice and the power for change right now.